Today the kids learned about Cubism and Pablo Picasso! Once we learned the definition of Cubism we learned about the most famous of the Cubists: Pablo Picasso. MakingArtFun.com has a great biography on Picasso that is geared toward children. Check it out HERE. 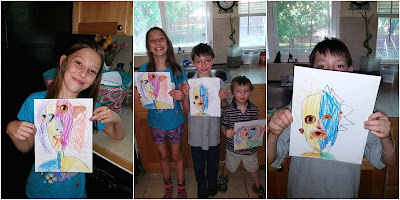 After our Art History lesson it was time for the kids to create some Picasso faces. The kids started out by drawing the layout of their faces in black crayon. To begin a Picasso face draw an oval, or a large U that is rounded out at the top. Draw a zigzag line down the middle of the face, so it looks as if half the face is looking to the side. Add a neck and hair if desired. 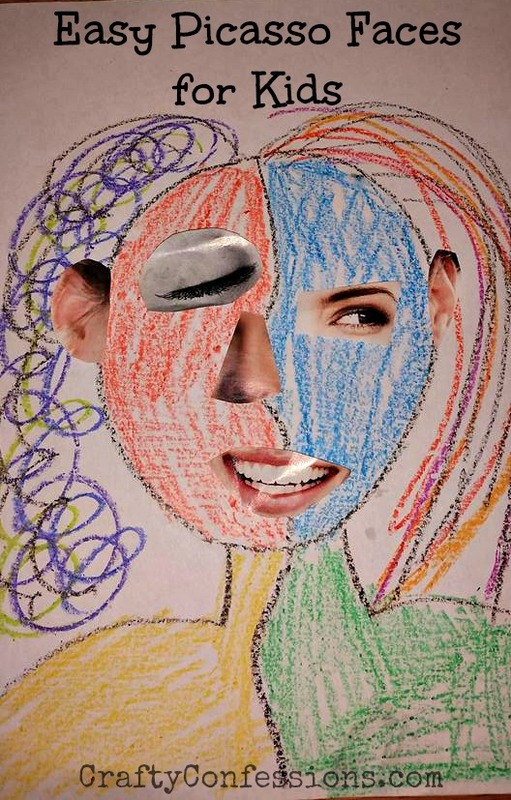 We expanded on our previous warm/cool lesson by coloring each side of the face either warm or cool. 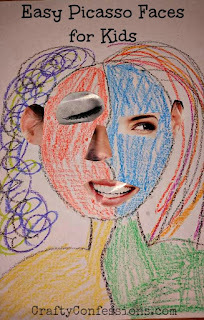 From there the kids cut facial features from magazines and glued them to their faces. They got a little wacky and even used kitty features from a cat food advertisement. It's doable for almost all ages.